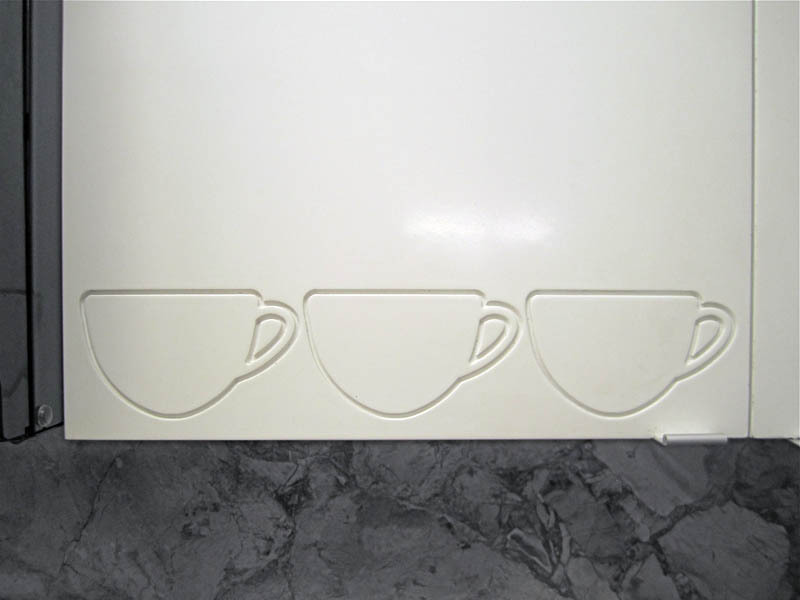 Architects Hayes and James Slade of Slade Architecture (previously here) have designed a fun and clever set of kitchen cabinets. 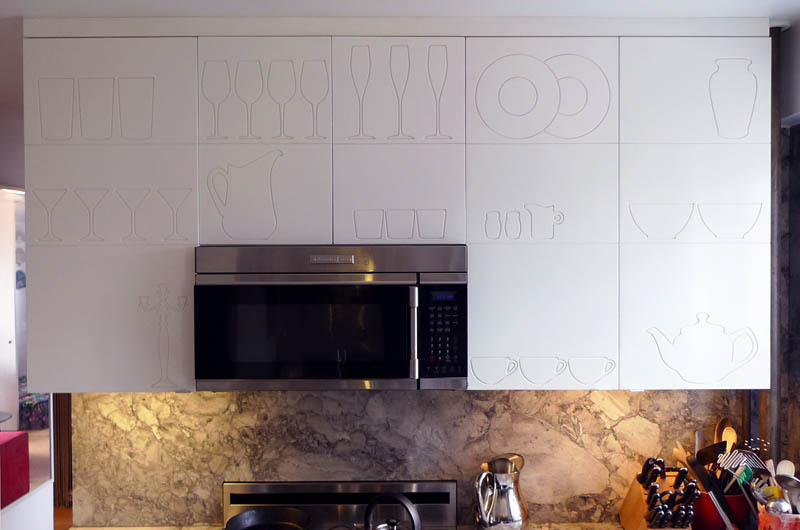 The wooden cabinet doors, coated in a smooth semi-gloss white finish, have minimalist outlined silhouettes of dishware and glassware etched into the sectioned panels. Very fun and a great centerpiece that catches your eye as you first enter the space. Top photo courtesy of Slade Architecture; other photos collabcubed. This entry was posted in Architecture, Fun, Industrial Design, Stuff We Like. Bookmark the permalink. What a novel idea to put kitchen crockery on the front of the cabinets. You would never forget where you put any of your items.